Dengue-Causing Mosquitoes Are Back! Dengue-Causing Mosquitoes Are Back! The last time we ever heard of epidemics caused by dengue-causing mosquitoes in the United States was in 1820s – 1940s. Every 10 year cycle, this epidemic returns becoming much worse. 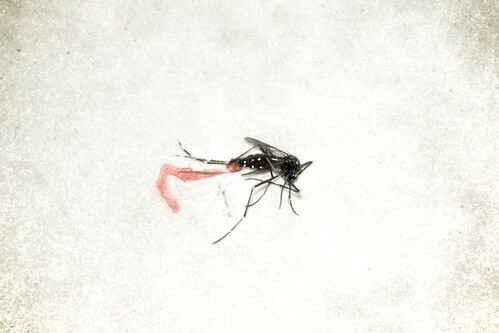 After the World War II there was an all-out war against these dengue mosquitoes. The WWII dengue eradication programs broke the chains of transmission between insects and humans and when the war ended, dengue has moved back to where to the tropics. This deadly and widely feared mosquitoes has been for a long time contained in the Tropic regions. It wasn’t until 2009 and 2010 that dengue-causing mosquitoes returned to the United States, bringing more serious treats to the Key West counties. There were also reported dengue cases in Texas, the Caribbean and in Hawaii in 2001 and 2005. Have you observed any white-patched mosquitoes or have been suspecting a dengue-causing mosquitoes epidemics in your area? Don’t delay! Call All Pest Exterminating Inc. as soon as possible to help protect your family from these dreaded mosquitoes.